Favorite Quote: "Your first move might be your last." I just want friends, friends that I can be close to. Forever. 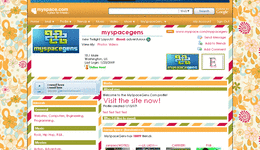 Use this generator to create text or image links for your myspace profile. The animated image generator has finally been repaired and updated! The code to hide your last login has been updated, and now works! 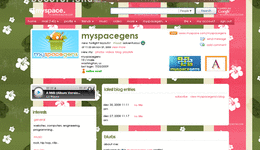 As promised with the new year, the Myspace 2.0 Layouts are here! Play all of your cool.mp3 songs, by placing the URL in this generator! Always wanted to know the code to put your own contact table?Here it is. 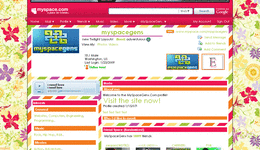 We just added 5 new layouts for your myspace page! Click to check them out!